Jones National Bank and Trust Co. hosted a speaker who discussed the agricultural economy. On Jan. 19, Nathan Kauffman, assistant vice president and Omaha branch executive of the Omaha branch of the Federal Reserve Bank of Kansas City, spoke to a full room in the Jones Bank auditorium. 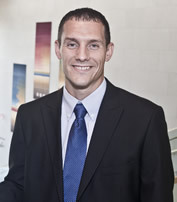 Kauffman has a doctorate in economics from Iowa State University and is the lead agricultural economics expert at the Kansas City Fed, according to the Fed’s website. It states he leads efforts to track the ag economy.